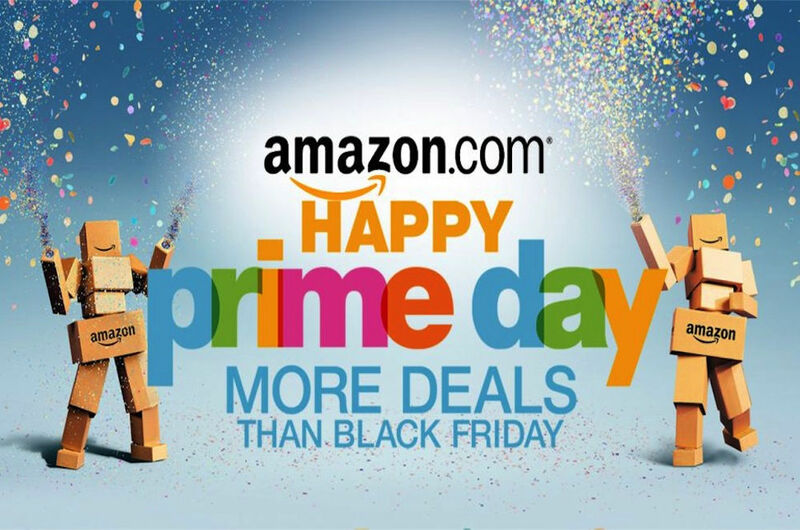 Prime Day is over, and Prime Day is officially Black Friday, or Black Tuesday, in July. What Amazon has accomplished with Prime Day since 2015 is nothing short of remarkable. Any merchant can call a sale “Black Friday”. All they need to do is throw a one-day sale, complete with door busters, and a hyper-exuberant spokesperson yelling at you in their ad. In fact Black Friday promotions have become so common the phrase is white noise – tuned out by most shoppers. Every so often a retailer pulls of a Black Friday scenario by offering a deal that can’t be passed up, like I don’t know, maybe pay your age for a Build-a-Bear (sorry couldn’t resist). But Bear-mageddon is an anomaly. Most Black Friday sales come and go like the circulars you get in the mail every week. The reality is Black Friday is a formula requiring three factors: pent up demand, retailer participation, and can’t pass up deals. Pent-up demand is a byproduct of people anticipating deals for an upcoming sale and holding back purchases to save money. Prime Day is in July. There isn’t a natural pent up demand (except for maybe back to school). Black Friday has a natural pent-up demand of holiday gift giving. Add to this demand the fact that many people have the Friday after turkey day off. Historically, many people used their day off to jump start their holiday shopping. Retailers responded by using doorbuster deals to entice these shoppers to their store. Talking turkey is fine, but let’s get back to July. There isn’t a natural pent-up demand. The first Prime Day was widely panned as a failure. because Amazon was unable to deliver on the their Black Friday promise. However, since that day in 2015, an interesting behavioral phenomenon is building every year: people are foregoing purchases to see if they can save money on Prime Day. Each year Prime Day has grown. In 2018 experts estimate there was a 33% increase over 2017 with over 100 million products sold. This is even with the initial server issues causing shoppers to see puppies instead of products. As Prime Day grew the competition took notice. The Amazon sale began to impact other retailers and so they began to offer their own sales. This year many major retailers had either sales prior to Prime Day or offered deals on Prime Day. It is estimated large retailers ($1 billion or more in sales) saw an increase of 54% in online sales. Overall, online merchants experienced a 28% increase. In particular, Target saw their highest online sales day this year on Prime Day. As you can see Prime Day has met the first two criteria, but what about the last one: can’t pass up deals. There was significant volume of chatter on social media. Partly due to the server crash and cute puppies, but mostly people were posting can’t pass up deals. Many online publishers, like Buzzfeed, IGN, Mashable, and USA Today, curated deals for their readers. Shoppers responded to these deals. While most of the top products sold this year were Amazon branded products, some of the best deals were non-Amazon brands. Top products purchased included Roomba (originally $349.99, Prime price $229.99), 123andMe DNA tests (originally $139, Prime price $99), Instapot 7-in-1 Multi-Cooker (originally $99.95, Prime price $58.99), and various noise cancelling head phone brands from Sony (originally $198, Prime price $98), Sennheiser (originally $199.99, Prime price $99.95), and Bose (originally $249, Prime price $125). So, in four years, a Tuesday in the middle of July went from a sleepy summer day to one of the largest shopping days of the year, rivaling Black Friday and cyber-Monday. The popularity of Prime Day makes me wonder if this behavioral shopping phenomenon could be replicated. A prime candidate is spring (pun intended). In the spring there is a natural pent-up demand for summer products and home products. Throughout spring marketers already have multiple sales. The key to get to a spring Black Friday is focus. This would require one major marketer creating a mega-sale day or a coordinated effort by many retailers to pick a day. This may seem unrealistic, then again so did Black Friday in July.